The role that scale plays in our lives is immeasurable. As an artist, it’s critical. The difference between good or bad, relevant or mistakable, successful or a failure can be simply be defined by how big or small a work is and how and where we experience it. 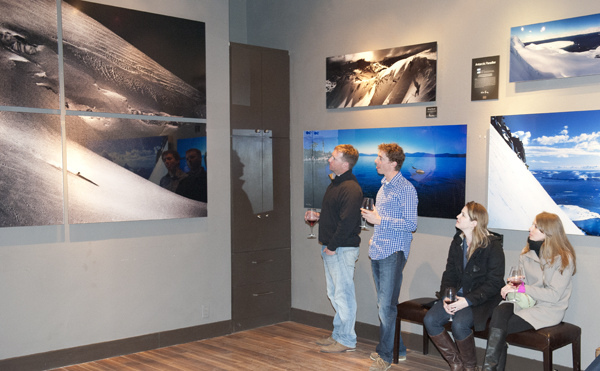 As our creative team evolves at Gallery Keoki we are having more and more fun breaking the rules. We are even going back to images that were created long before and examining them with a different eye, looking for something new once missed. By breaking up composition and expanding them, playing with their scale and outputting them in a new way, we are developing a new understanding how we can make them feel. 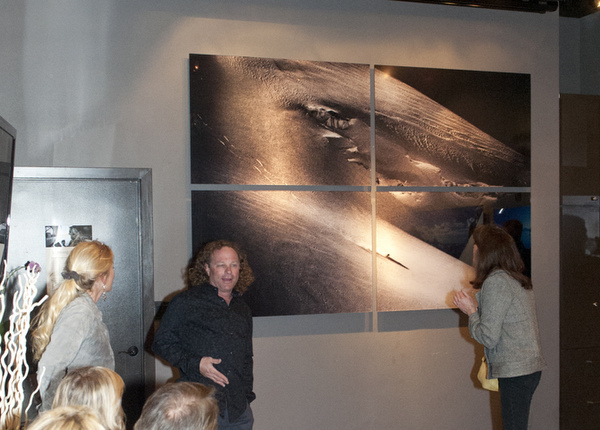 Last week we unveiled a new monumental piece, The Lone Skier on Glacier, that was originally captured in France in 1996 on Tri-x B&W film using a Nikon F5. I originally developed, printed framed and showed it in exhibit as a 11×14 art piece. Now we fragmented the 35mm format frame into 4 (32×48) panels and mounted it on the gallery wall with 1.5” gap between the panels. 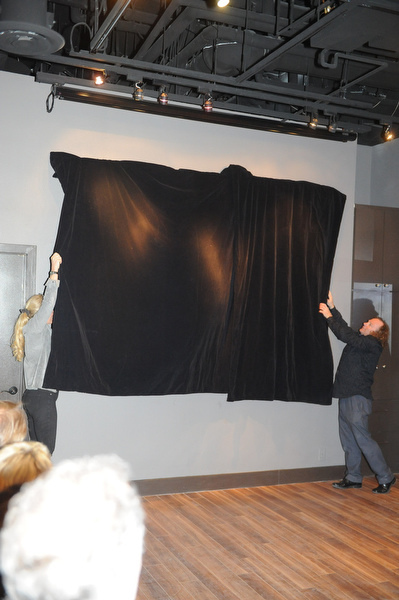 When we pulled the curtains off the piece, the crowd buzzed. Embracing the grain structure of the 50 year old film emulsion actually enhanced the viewer’s experience. The large output accentuated the film grain to such a level that it almost feels like you have to pick it out with you teeth. It has made the piece more abstract, more organic, more relevant. As we continue to grow and move forward it seems like very few of the old rules are sacred – perspective is everything! 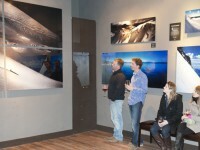 This entry was posted in Uncategorized and tagged extreme sport photography, Fine Art Gallery, lake Tahoe Photography, monumental photography, winter sports photography by keoki. Bookmark the permalink. Can’t stop admiring all that you have done and contributed, Koki. This applies to all of your inspirational blogs that you have to date. Enjoyed them all.